The work featured in this exhibition re-contextualizes the history of the Philippines during the era of US colonization at the turn of the 20th century. After the US assumed control of the Philippines as a result of the Spanish-American War, Americans inhabited the flourishing tobacco industry, a former Spanish monopoly that became as much a part of the fabric of colonial life as was Catholicism. With the tobacco industry filling the airways of Filipinos and Spaniards alike, cigars became a primary technology through which Spanish (and later American) colonialism could be embodied and sustained. Within this context, the pieces in this exhibition feature a series of made and readymade objects, ephemera, images, and gestures that offer alternative, speculative histories that undermine the told success of the tobacco industry. In pointing to various ways that would have ruptured and potentially collapsed the industry, this installation offers otherwise unknown stories of Filipino agency that have not been adequately documented. 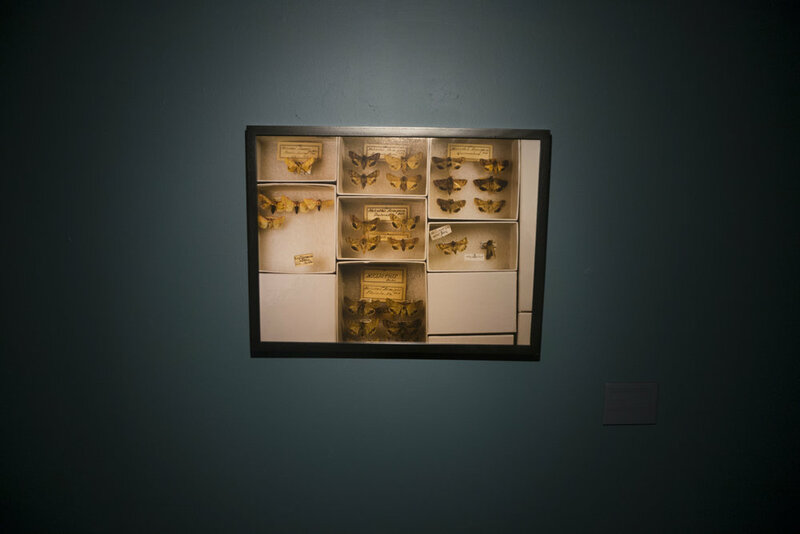 In offering strategies of Filipino resilience, such as enabling the destruction of tobacco plants through the introduction of invasive insects or by highlighting the surge of tracheotomies of Filipinos that suffered from tobacco related breathing problems, this installation situates objects within the framework of a museum to question the ways in which the historical narrative is constructed. The museological approach of the installation thus offers a series of material investigations that assert themselves as part of the archives, whether or not they have been part of the historical collections or not.